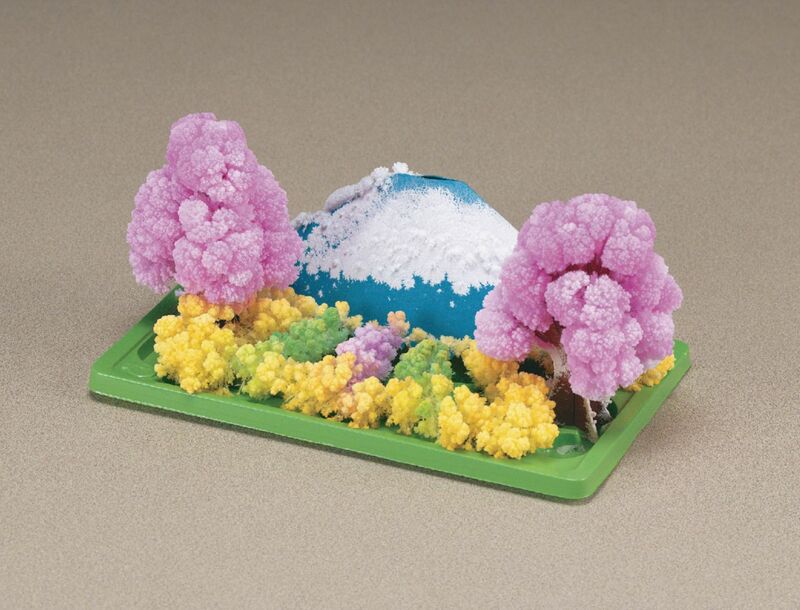 Grow your own beautiful mountain scene with this kit’s mountain, trees and flowers made of paper and a plastic base. Once you’ve assembled your paper garden, pour the magic garden solution on the paper. Within hours, the flowers bloom, the trees bud and snow appears on the mountain. This spectacular scene and its metamorphosis will entertain and educate about crystallization creation and formation. WARNING: CHOKING HAZARD- Small Parts Not for Children Under 3 Years.